I love new things - shiny, bright, never before used things. I love new books, that crackle when you peel back the cover and release their pungent aroma of fresh ink. I love new cars, with sparkly paint and crystal clean whindshields. I love new furniture all regal, smooth, and firm. So you would think that I would love new years, with their 365 empty days waiting expectantly to be filled with activity and emotion - work, play, love, life, happiness, sadness. And I do love the idea of a new year, with all the hope and promise implicit in the words. But I'm also just a titch anxious every new year's too, because despite all the planning and resolving we do in the days leading up to this fresh start so nicely provided by our calendars, there's that rather scary element of unknowing that comes along with it. My anxiety level is a bit higher than normal this year condsidering all the unexpected things that happened during 2009. But each morning we awake never knowing what the day will bring, and I'm determined not to allow last year's series of disasters to color my thinking about the new year in front of me, or, for that matter, about life in general and my own in particular. 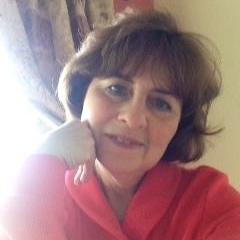 Though the events of 2009 - my aunt and uncle's death, my husband's job loss - have inevitably altered my life, those changes have not been totally devastating or entirely negative. 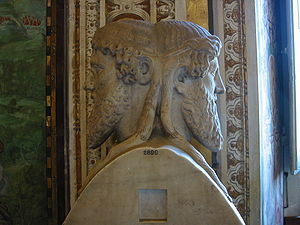 Like Janus, the Roman god for whom this month is named, I'm now able to look back and forward at the same time, having not only survived, but having learned a thing or two in the process. One of my Facebook friends posted a question in her status update yesterday. "What would it take for you to live simply and contentedly in 2010?" she queried. I found it interesting that she chose simplicity and contentment as her goals for the year, and, in asking that question, assumed others would find them to be worthy desires of their own hearts. For a long time, I've felt a yearning for simplicity, which for me would mean less busyness in my life. Realistically, looking at the things that cause me to feel rushed and overburdened, I admit that many of them are of my own choosing...music and traveling and dogs and writing and blogging...but these are the things that mean putting stars and hearts on my calendar pages, and I'm not inclined to sacrifice them for the black squiggles which crowd the majority of my days. One of the things I've learned during the course of these past months is that true contentment comes from the most simple things. Sitting on the porch with my husband and the dogs, watching the sun set behind the evergreen trees. 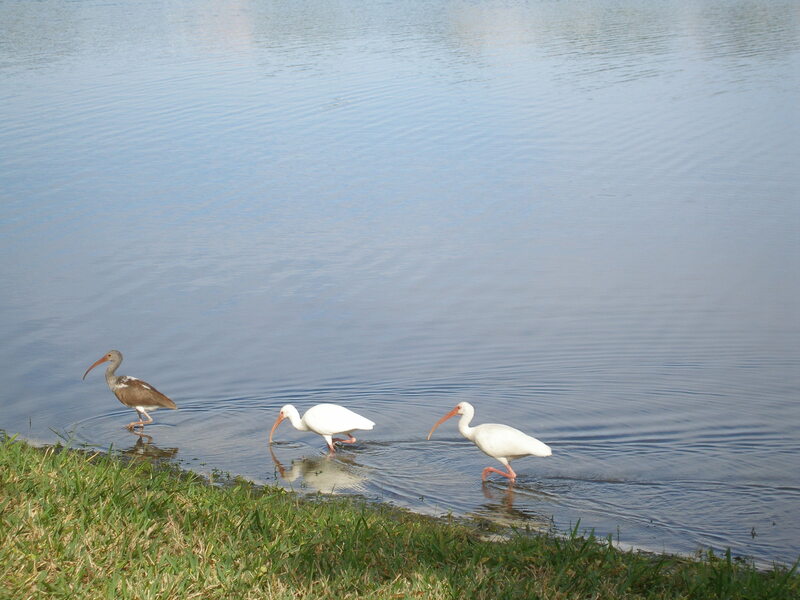 Walking around the lakes here on a perfect sunny morning while the egrets tiptoe along the shoreline beside me. Reading a good book with a cup of hot, fresh coffee at hand. Sitting around the dinner table with my family, sharing food, ideas, and memories. So if I were to set a goal for this shiny new year, it would be to fill my blank calendar pages with more of those moments, and to savor them when they occur. Those are the moments that shore us up despite the inevitable hurts and disappointments, that heal our hearts when sorrow steals in. The moments that fend off the fear and anxiety of the unknown, and give us the strength to move forward with grace and hope. How about you? What would it take for you to live simply and contentedly in 2010?